A very good Morning to all of u. 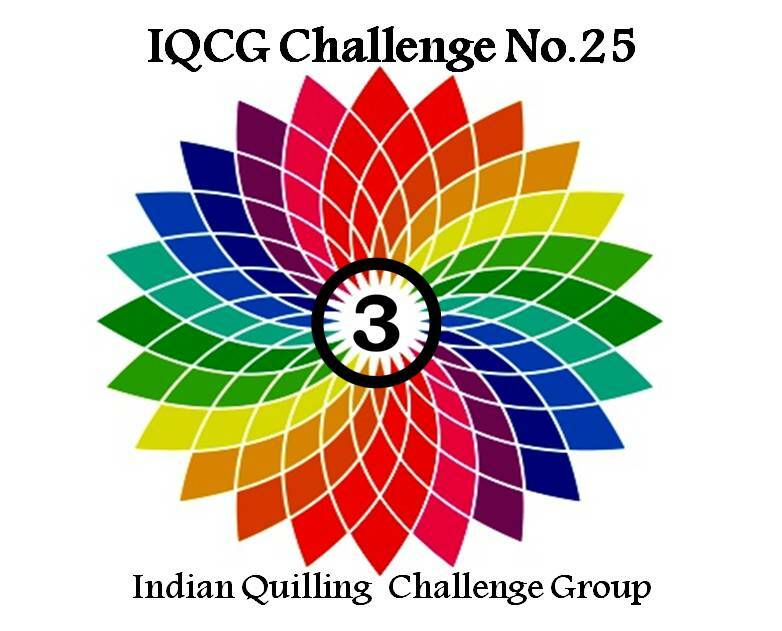 Today is the first day of April and the beginning of a new theme for the month at Indian Quilling Challenge.This month's theme is "Trio Of Colors"... 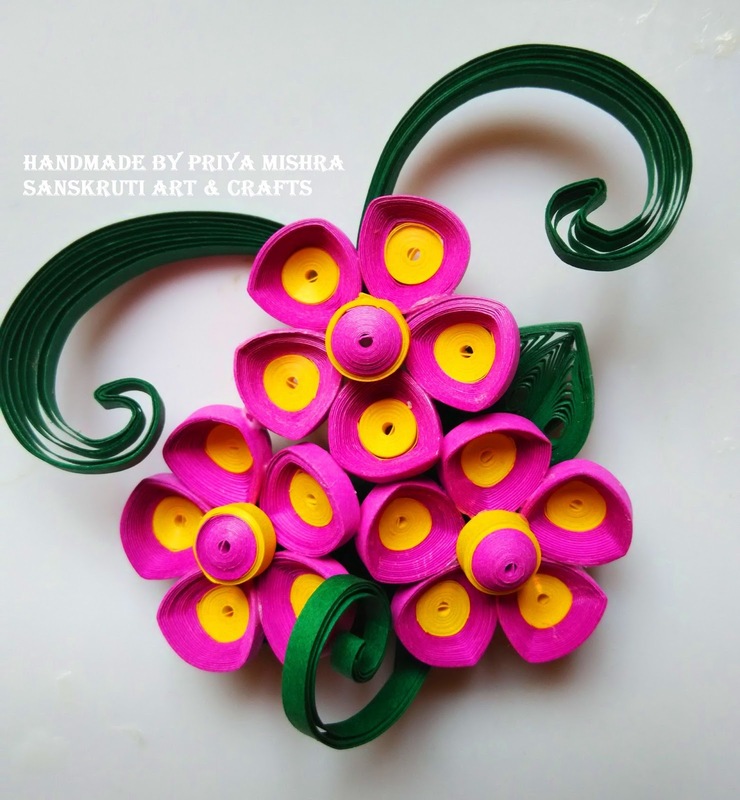 So u can create something using any 3 colors of ur choice. I'm sharing two projects today under the theme. One is a Fridge magnet and another one is a card. 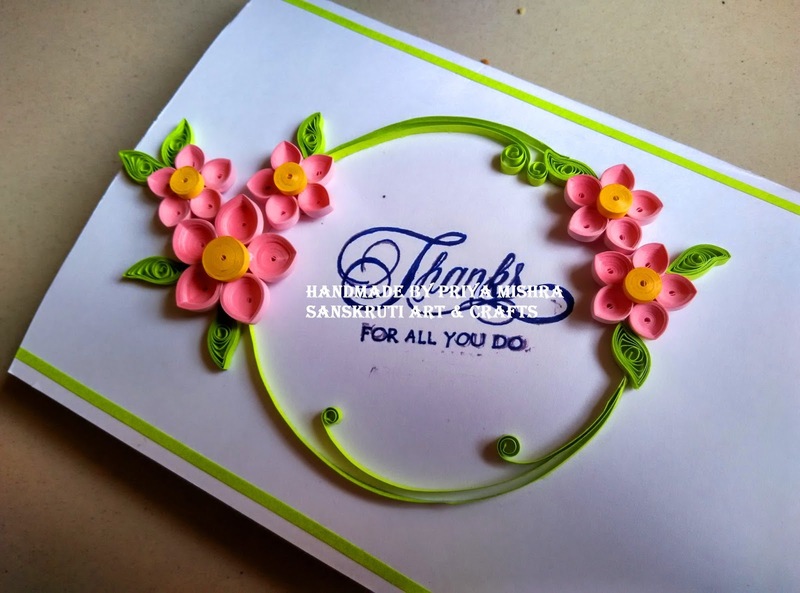 For both I used 3 mm Quilling strips of different colors. I really had fun making these. and get a chance to win exciting goodies. 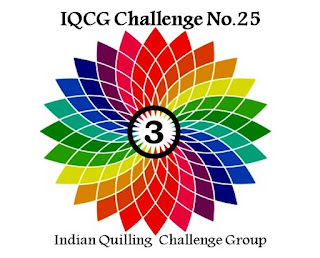 Do read the challenge rules and enjoy.